It was a beautiful day last Saturday Cherrywood Coffeehouse. 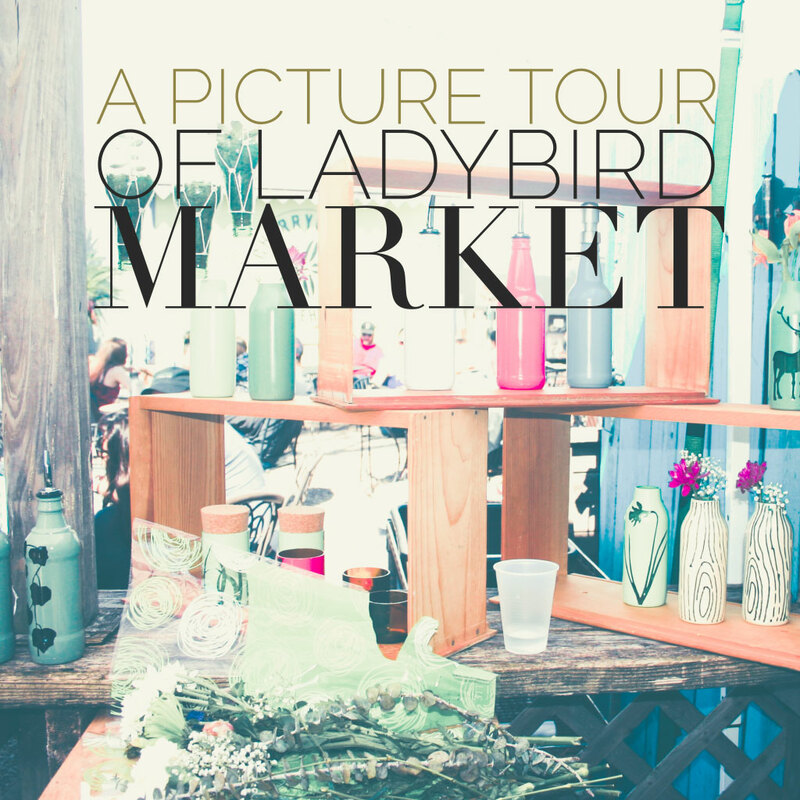 The Mister and I took the morning to go visit the newest Market on the east side of town called Ladybird Market hosted by Anne Marie Beard. 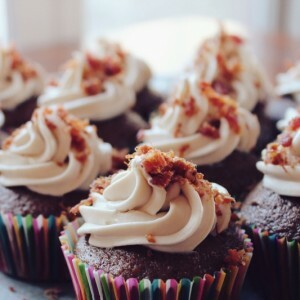 We love Cherrywood Coffeehouse… it’s one of our favorite spots to eat and were really excited to get to see some familiar old faces and to meet some new artists as well. We ordered our favorite brunch and then I got to talk to each and every artist that I can’t wait for you to see. First we saw Eliana Bernard. 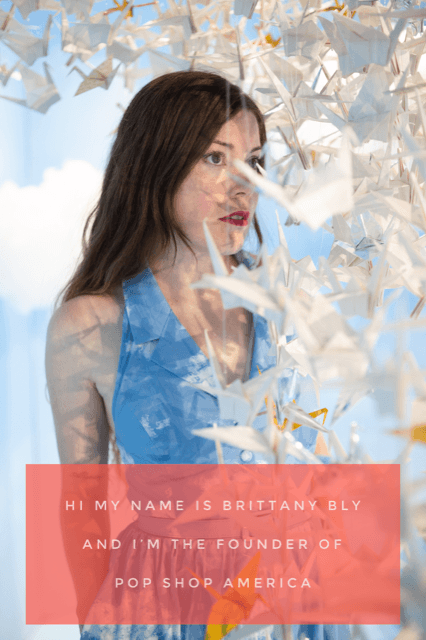 I actually had the pleasure of participating in a show at West Elm a few months back with Eliana so I was already familiar with her porcelain which is beautifully handcrafted with a delicate lace pattern. 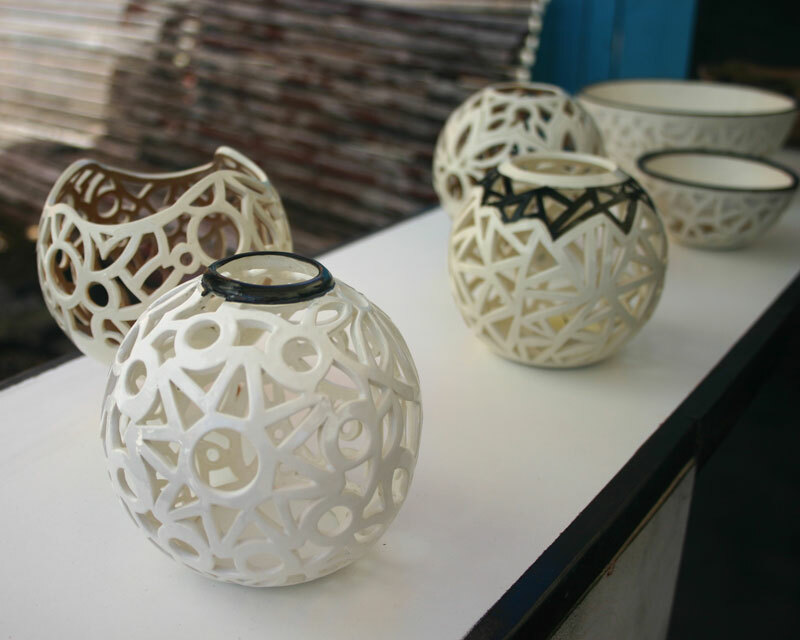 Eliana has everything from large centerpiece platters to vases and even jewelry dishes. Her signature collection features charcoal, teal, and cream with a gold lace pattern. 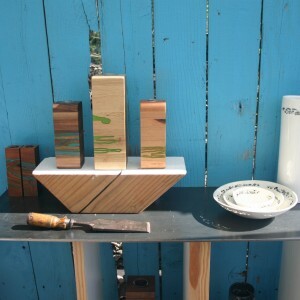 I’ve seen Brian David Johnson’s work of BDJ Craft Works all over Austin and in various shows around town. I finally got the opportunity to chat with Brian in person and was delighted to hear about his interesting process.Brian’s wooden vases and trays are made from sustainably harvested domestic hardwoods and are joined together through a process called stack lamintation. 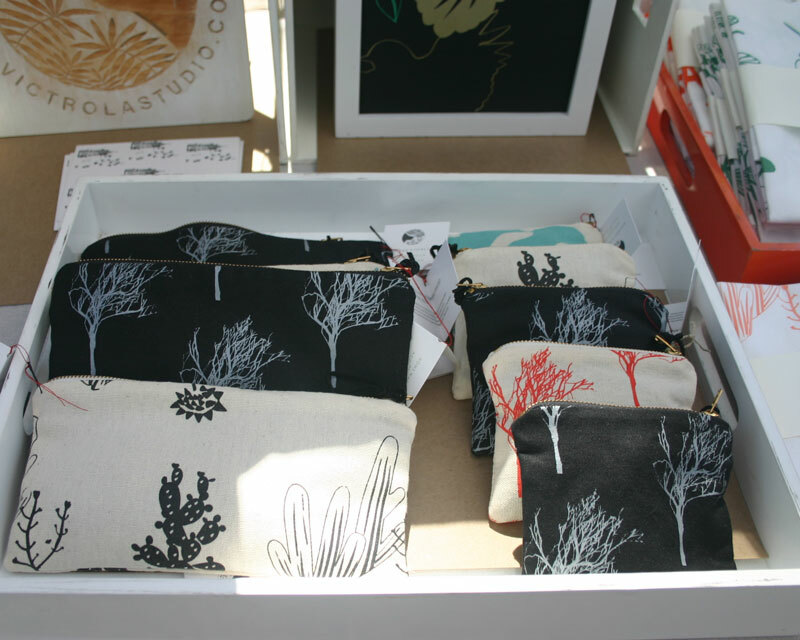 Fat Cat Studio by Kari Stinger and CeRee Hellums was also participating in the market. 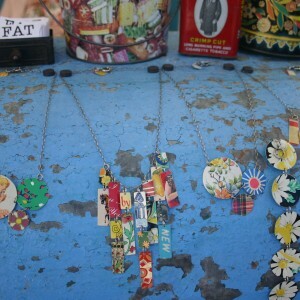 I am really familiar with Fat Cat Studio’s hand cut tin jewelry. I pretty much love everything colorful and vintage and also collect tins myself so I’m a big fan. 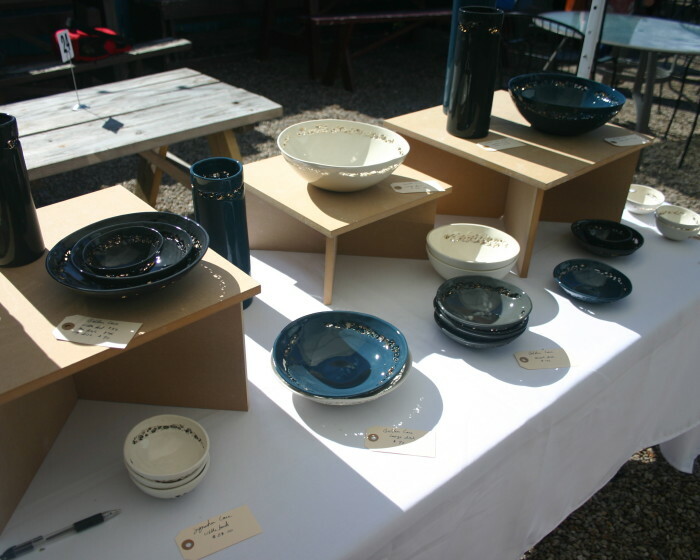 Sharing a booth with Fat Cat Studio is Kollin Baker who designs and creates functional handmade pottery. I’m especially liked the decorative hanging lamp shades! Kollin is also a well known Concrete Guru in Austin and is the owner of Absolute Concrete Design. Next up is a girl I know well… Brandy Davis of Pigsey Art. 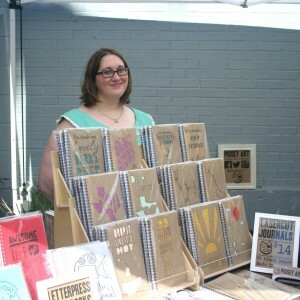 Brandy designs and makes adorable journals, notebooks and magnets.There are also some pretty swell laser cut journals. 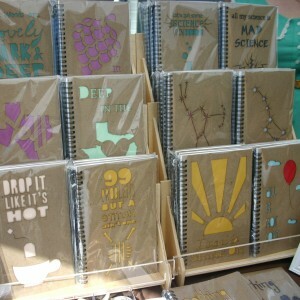 I gotta get my hands on the “99 problems but a stitch ain’t one” notebook. 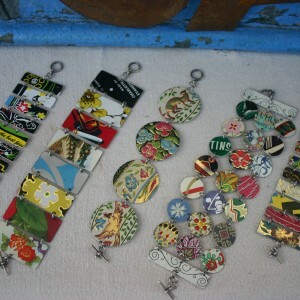 Oh and some sweet flair for your jean jacket or bag perhaps? 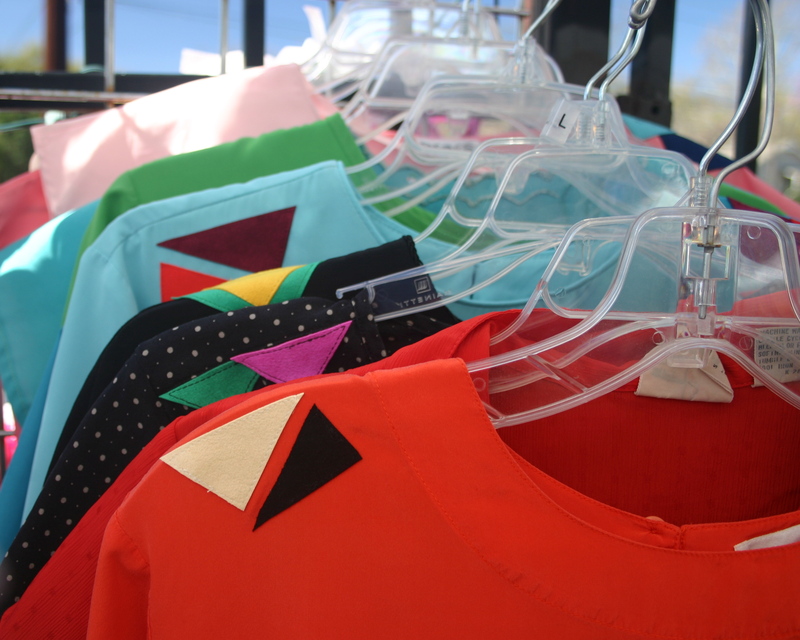 Brandy’s booth mate was the ever so sweet Jill Smallman of Luna Tigre. 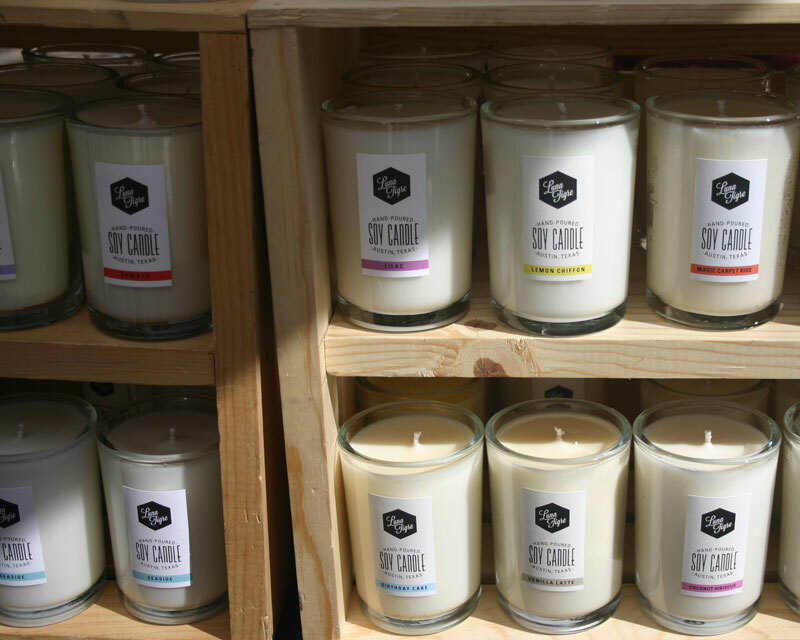 Jill hand pours the most amazing 100% soy candles. I’m loving her array of scents to choose from such as Lemon Chiffon, Coconut Hibiscus, and the ever popular Tomato scent. The Mister and I already have a Giant Squid framed and hung on our wall at home by Curious Prints so we are quite familiar with their work but have to say I was delighted to see more prints and wall hangings than I have before. I’m really digging the feather and flora & fauna banner with fringe seen here. 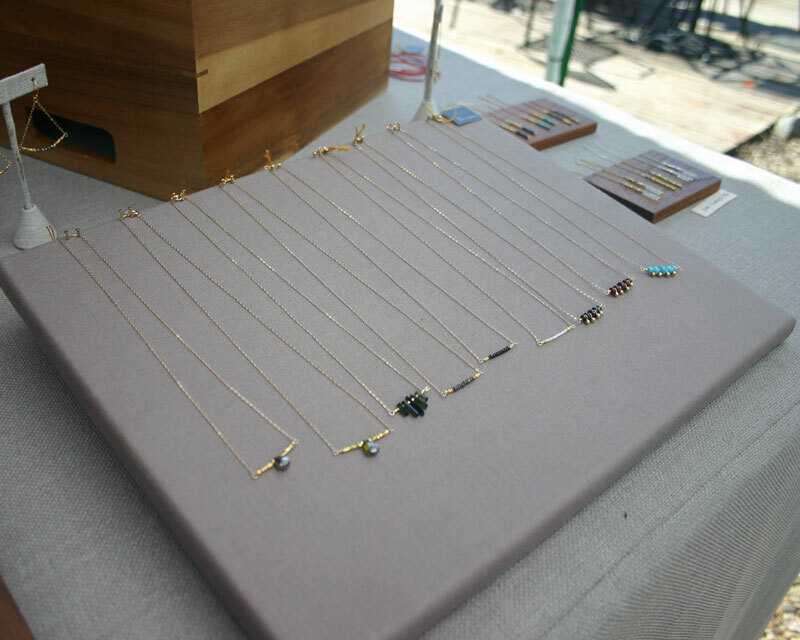 Next over is Eliza Rose Jewelry. I have actually never met or seen Eliza’s jewelry before so I was pretty stoked to see her wire sparrow pendants! 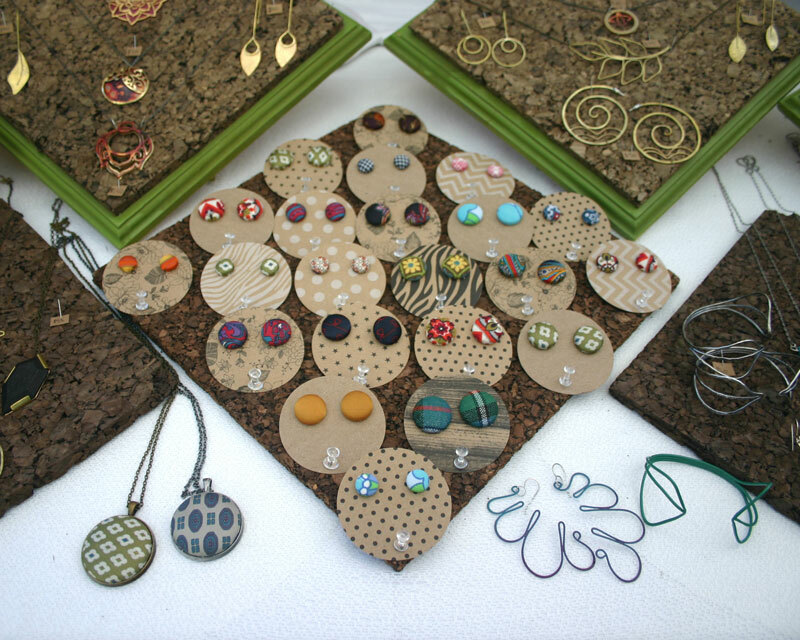 Eliza buys raw materials (sheet or wire) and handcrafts all her work herself in her south Austin studio. Each piece is truly unique. 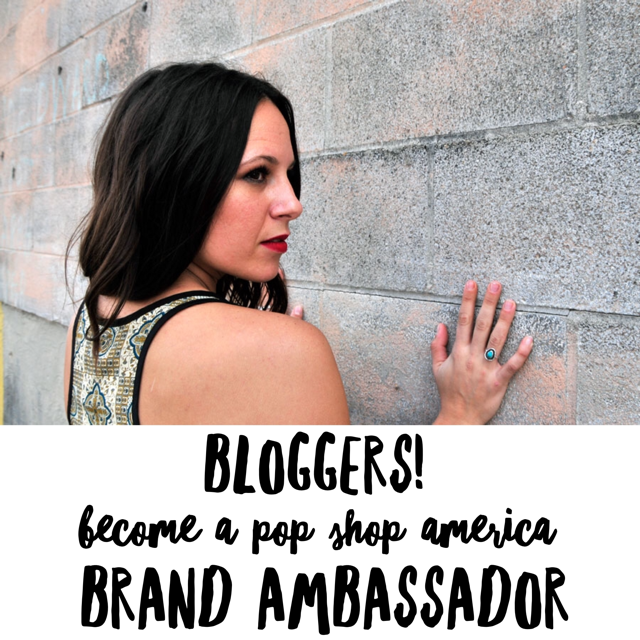 I was so happy to meet Laisa Macias of LaLa! 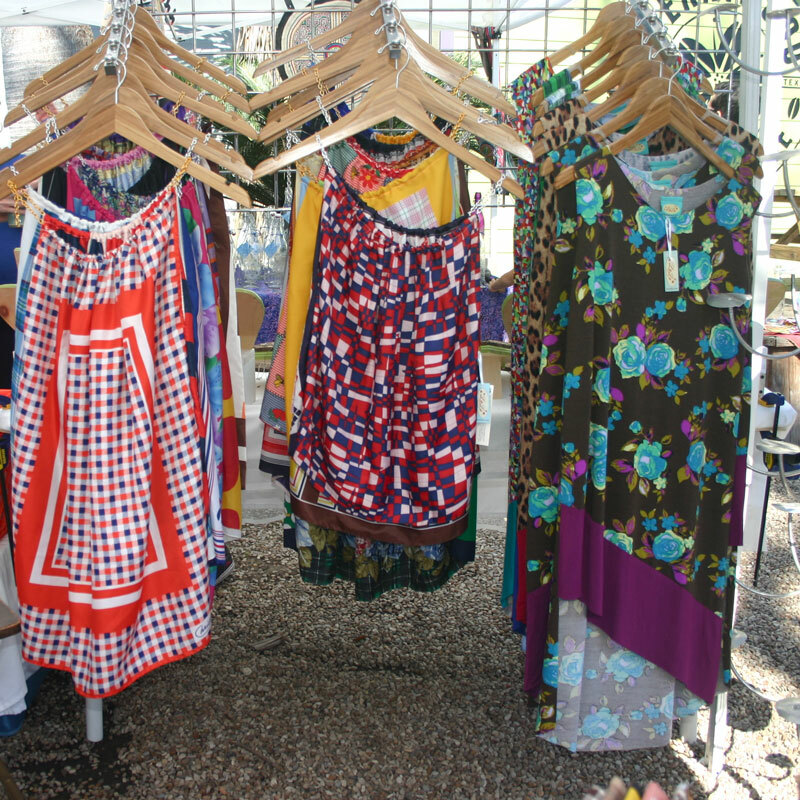 My weakness is fashion and dresses so I was in trouble when I came across Laisa’s booth. I’m very much attracted to bright and bold colors as well as patterns so it was unbelievably hard for me to not spend all my money. Oh, and her adorable bicycle hats! Sharing the very bright and colorful booth with LaLa was Anne Marie Beard herself. 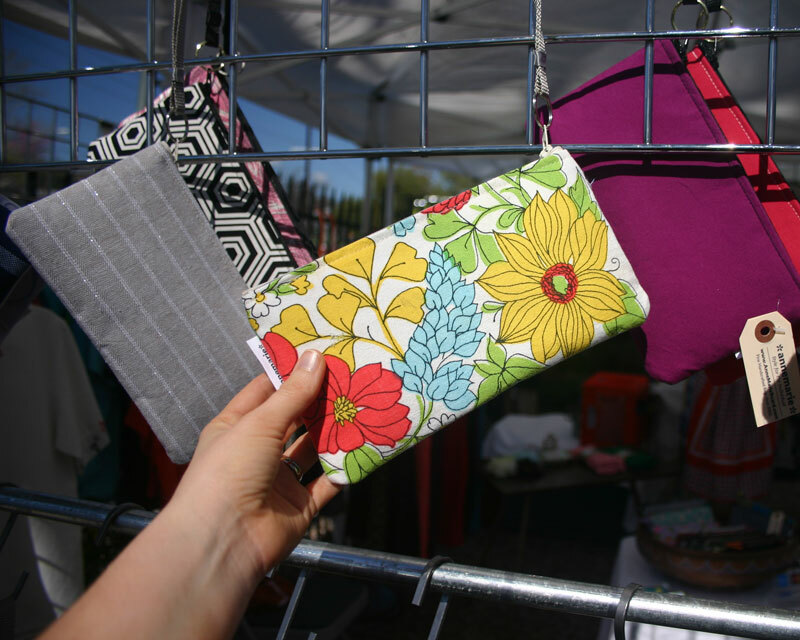 Anne Marie designs and sews wallets, wristlets, shoulder bags and much much more. There were tons of fabric patterns to choose from as well as designs. 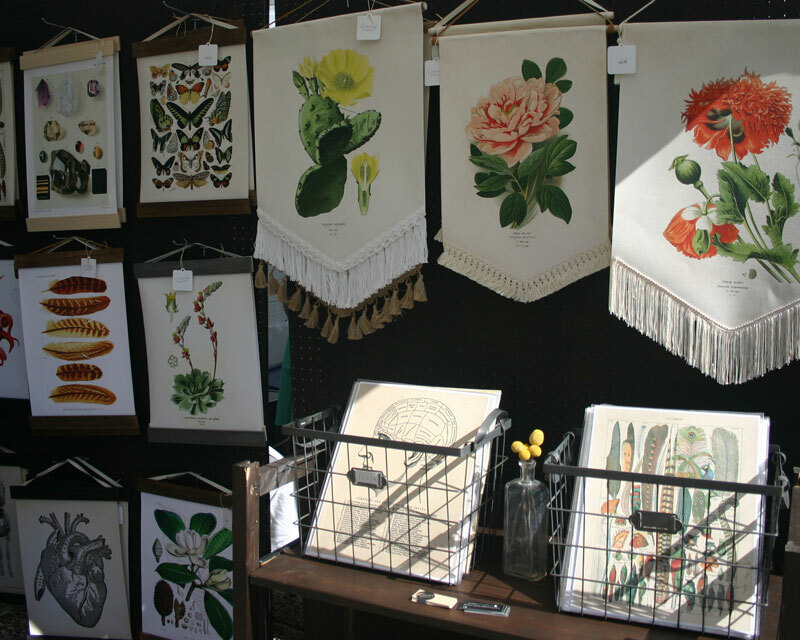 I had the pleasure of once being neighbors with Victoria of Victrola Design at The Blue Genie Art Bazaar about two years ago so I recognized her work right away. I did also notice that Victoria has all new patterns and designs! I’m totally in love with her new line and can hopefully get my hands on some pillows in the near future. I love the tree and cactus theme. It’s all Texas inspired and oh so adorable. The last booth featured 2 artists. The first was Kate Winternitz whom I’ve had the pleasure to get to know and run into over the last few years. We pretty much do the same shows so we see each other quite often. I just adore Kate and her delicate little jewelry. My husband Matt actually purchased a little necklace for me with two little birds or chicks (as I like to image them) on the pendant. It was so sweet because it reminded me of our first pair of chicks that we bought and raised together in our little backyard coop. That was a few years back and it looks like Kate has come up with some beautiful and new designs. I’m really into these thin, delicate bracelets. It’s always nice to see familiar faces at shows and get to catch up and talk. 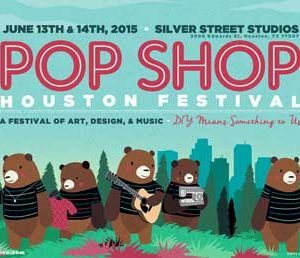 Last but not least is a new vendor. 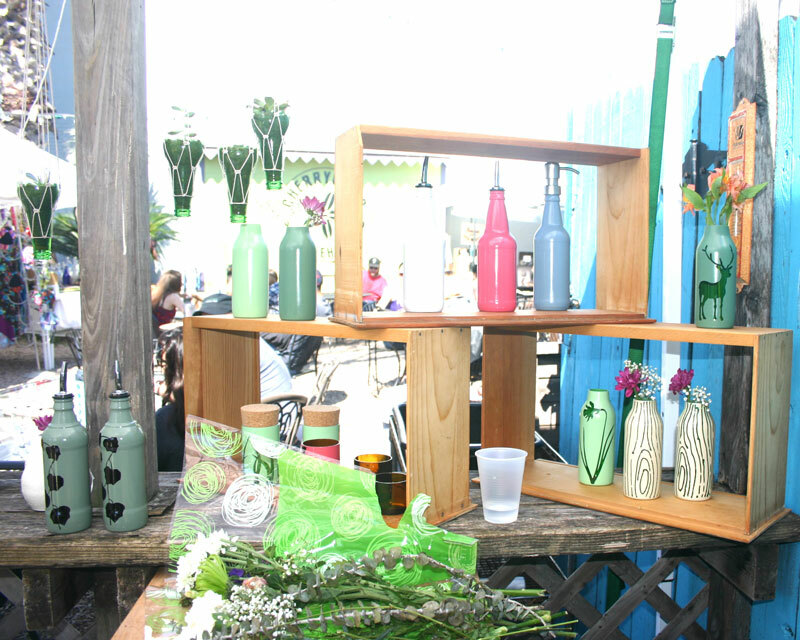 I had never met them before but was thrilled to see the most amazing re-purposed bottles by Mollie Doyle of The Bottle Garden. I’m a huge plant lover and was especially excited to see these hanging bottle tops. Mollie’s process consists of cleaning the bottles, cutting, sanding, stenciling, priming, painting and then sealing them. Whew! The end result is a very unique re-purposed bottle. 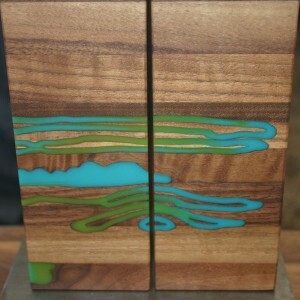 As you can see they make great vases, soap dispensers and much much more. Not shown but much admired is her temporary tattoo’s inspired by various plants. 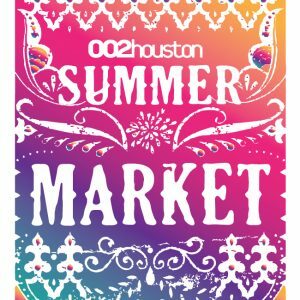 Want to be a part of the awesome Ladybird Market? 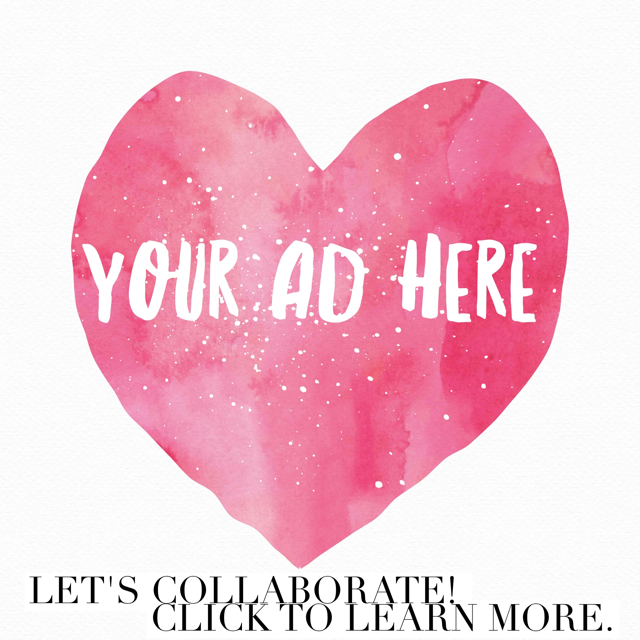 Contact Anne Marie Beard through The Ladybird Market site here. This entry was posted in Art, Travel and tagged austin. Hiya! My name is Taylor Hart the creator of crochet taxidermy and blogger behind Nothing but a Pigeon. I'm a 30 something year old gal living in Austin, Texas with my wonderful husbear Matt and our little lovies Lucy and Sophie. We made the move to Austin in 2009... but I'm a Midwest girl at heart. This place looks so cute! I would feel so inspired just by walking around!